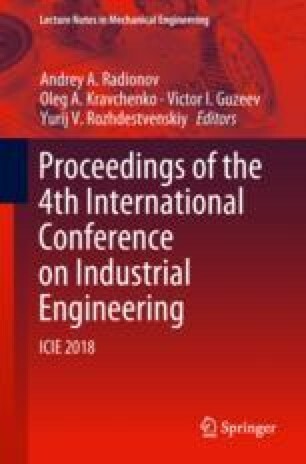 The article is dedicated to double-disk grinding (DDG)—efficient and prevailing tooling method for processing workpieces with parallel end surfaces including bearing rings and rollers. At grinding of the flow of blanks, such as rings and rollers, starting from a certain point in time, there is an increase in processing errors and their out-of-range tolerance. One of the main causes is the uneven wear of the grinding wheels (GWs). To solve the problem of increasing the stability of the rational form of GW, the following tasks were set and solved: (a) development of a mathematical and simulation model for the transformation of the generating surface GW for two basic DDG schemes: with circular and rectilinear feed; (b) theoretical and experimental analysis of the regularities of GW transformation. As a result of theoretical and experimental studies, a typical shape of the worn-out surface of the GW is established for grinding the ends of the bearing rings. It is established that grinding wheels with a modified parabolic profile have better shape stability than flat ones.